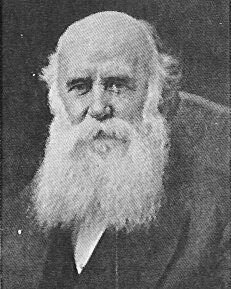 John Alexander Dowie, May 25, 1847 – March 9, 1907 (aged 59), was a significant Scottish clergyman in the United States of America. He was the founder of the city of Zion, Illinois, and the Christian Catholic Apostolic Church. He was an evangelist and faith healer. Zion was the main focus of Flat Earth teaching in America in the early 20th Century. This page was last modified on 3 May 2014, at 11:15.